The quality of your bespoke home office furniture can make a big difference to your environment, making the most efficient use of the space. Desks can be made in any shape or size, fitted or freestanding to suit the space available along with custom-made shelving, computer and stationery storage. 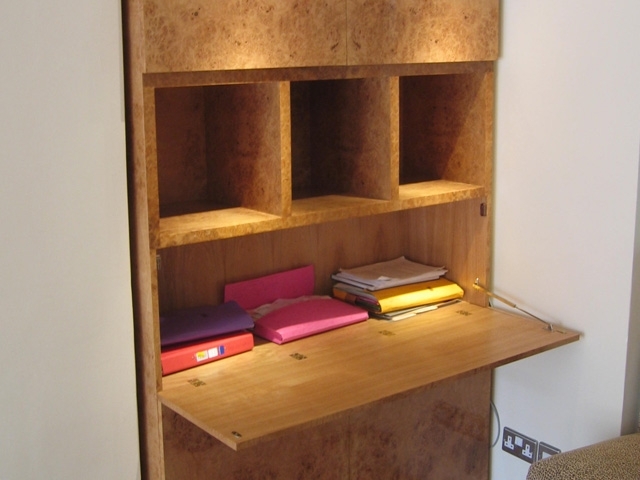 Bourne's Fine Furniture will create an intelligent bespoke workspace. Your home office or study will not only be a room to work in but more importantly, a room to enjoy.